Fetal echocardiography is a test similar to an ultrasound performed in the obstetrician or maternal fetal medicine office. This exam allows the fetal cardiologist to better see the structure, function, and heart rhythm of your unborn child’s heart. It’s typically done in the second trimester, between weeks 18 to 24. 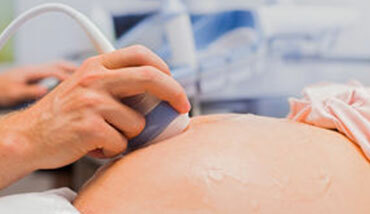 The fetal echocardiogram also helps in the management of multiple gestation pregnancies. The exam uses sound waves that “echo” off of the structures of the fetus’ heart. Results of the test will be discussed with family immediately following the examination.